Situated at the centre of Phnom Penh's financial district, this serviced office is ideally placed, and easily accessible. Set in a mixed-use development, this centre provides private offices, workstations and meeting rooms in a comfortable, professional business environment. Enjoy refreshments in the on-site cafe or out and about in the area as there are plenty of food and beverage options to explore and try. Adjacent to the Korean embassy on Diamond Island, this workspace is located in an area with significant development activity in Phnom Penh consisting of both business and residential growth. Modern offices come fully furnished and offer an abundance of natural light as well as a variety of business class amenities including Wi-Fi, phones, around the clock building security, and a staffed reception. 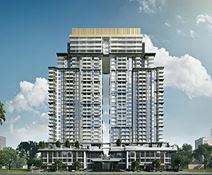 Find this elite community in Northern Phnom Penh. Offering flexible plans for freelancers and small businesses alike. Create meaningful connections with people and organizations from all fields from tourism, food and beverage, finance, film-making, media and education. With exclusive privileges including deals, discounts, complimentary items, and VIP access to partner services while experiencing an ecosystem of services like pantry services, a library, business lounge, concept store, napping room, art gallery, and indoor garden. Close to accommodation facilities, an abundance of food and beverage venues, and education facilities. Well connected to transport with access to the Riverside Park for a change of scenery. In the heart of Phnom Penh, this office space offers both dedicated serviced office spaces in a range of sizes and individual coworking desks for working while on the go. This space is fully furnished and provides access to corporate meeting rooms, comfortable and relaxing breakout spaces, plus a range of extra facilities, from communal kitchens to an on-site reception team offering telephone answering services. Private offices and co-working options are available. Meeting rooms are well-furnished with conference amenities and large TV screens. High speed WiFi is available throughout. Situated in the heart of the central business district, at Exchange Square. It is an 8 minute walk to Rithy Mony Bus Station and 10 minutes to Cambodia Railway Station. Close-by, there are a number of bars, cafes and restaurants.